Tracking dogs have been used for their unparalleled smell for centuries, from the time of the Vikings who buried their hunting dogs with their owner, to their use in today’s modern military. A dog's olfactory system, the part of the brain which processes smell, is much higher than humans. Though all dogs have an extraordinarily advanced olfactory system compared to their human caretakers, the dogs chosen for this list are also judged on their aptitude, ability to be trained, and historic tracking ability. The innate ability that these six types of dogs possess elevates them to their dominant position among some of the best tracking dogs in the world. Here are the best tracking dogs in no particular order. This is the first dog every person immediately thinks of when tracking dogs are mentioned. Known for their intense tracking ability, the bloodhound easily secured first place on our list. 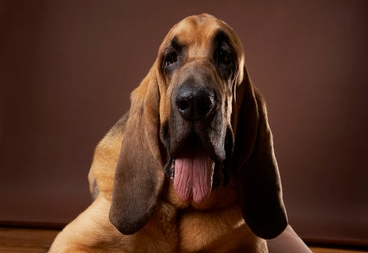 The average human has 5 million receptors on our olfactory membrane, the average large dog has about 200 million, the bloodhound though, has roughly (or should I say ruffly) 300 million of these receptors, making it paws down the most smell sensitive dog. Bloodhounds also are incredibly focused with the ability to track a distinct smell for miles, even in a crowded area. This made them a police staple for centuries. 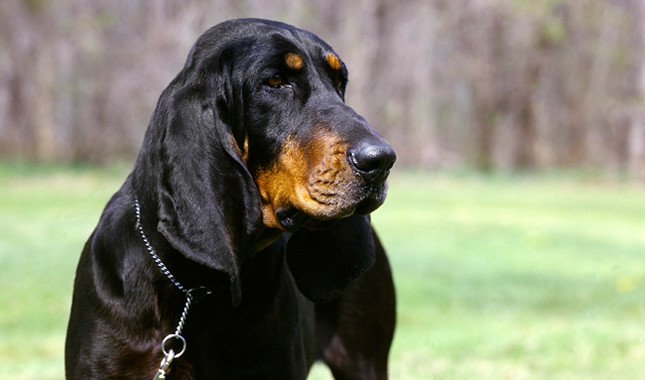 Bloodhounds also do not bite, making them incredibly useful when searching for missing children. The downside of the bloodhound is that it can only search for humans, which is why police opt for the second dog on our list, the German Shepherd. 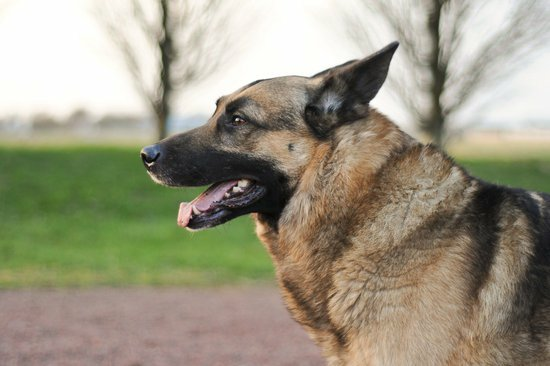 Even though the Bloodhound tops our list as the best tracking dog, the confident, loyal German Shepherd comes in as a close second on our list and is the favored breed for military and police forces around the world. What separates this tracking dog from the bloodhound is its aggression, trainability, and ability to follow commands, which is slightly higher than the bloodhound. Its ability to detect drugs and bombs, on top of humans, adds to its preferred status and this dual purpose nature makes the German Shepherd the hybrid choice for tracking. 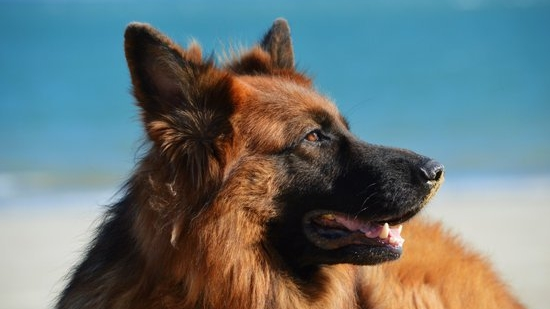 Known for its loyalty, a German shepherd has been known to stick with their owners through thick and thin, creating a relationship reliant on trust. A German Shepherd that trusts you will follow you to the ends of the earth making it one of the best protection dogs in the world. This small tracking dog contains about 220 million smell receptors, the average for a larger dog, in a compact size. The fun-loving dog may find itself distracted occasionally, but its exceptional smell makes it our third choice for a tracking dog. 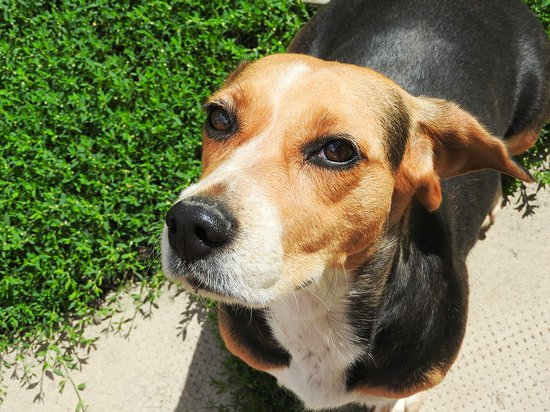 The Beagle is one of the friendliest dogs on our list and is great for small children. This personality trait though makes them one of the hardest dogs on the list to train. A Beagle is always naturally sniffing the ground, but if training does not begin at an early stage in its life, the ability to develop a manageable tracking dog may prove too difficult. With the right training though, the beagle can be a great asset to your tracking needs. This Malinois is designed for working. It's muscular build and is heavy dependence on interaction with others requires its owner to keep it active and un-neglected. This dog, along with the German Shepherd, is a highly sought after breed for military and police applications. Described as one of the most loyal dogs on our list, this tracking dog is great for personal protection and military use. 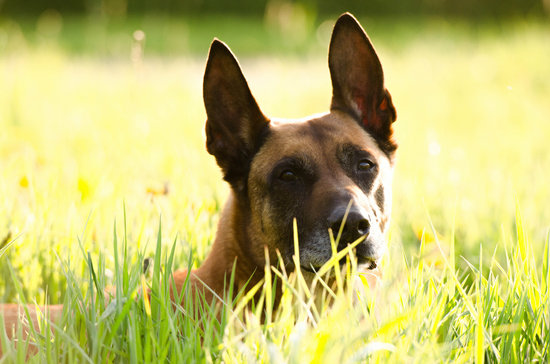 Where the heavy gunfire and rampant movements might cause other dogs to scurry in the face of danger, the Malinois remains steady, at its owner's side to the end. One unique ability this tracking dog possesses is its ability to be trained smell prostate cancer in humans by comparing the scent of two different samples of urine. Second to last on our list is the Labrador Retriever, a medium sized dog characterized by friendliness, an outgoing personality, and enthusiasm in all tasks it applies itself to. The Labrador, along with the Beagle and bloodhound, are not aggressive dogs, using their tracking ability in a peaceful way. Tracking a wounded deer freshly shot, while also being a great family pet, is where your Labrador will specialize in. 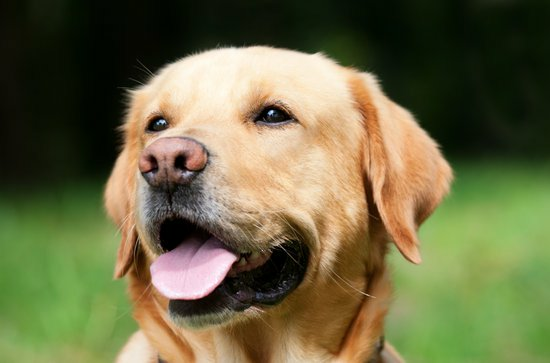 While some dogs on this list may not be able to have as friendly relationships with their caretakers, including interacting playfully with small children, the Labrador takes the cake (or the dog treat) on this category and fills the hunting family’s need. The Coonhound closes out our top six list and is the greatest raccoon hunting dogs. Bred to sniff raccoons, hence the name, this dog can handle the most treacherous terrain with ease and cunningness. Following the scent, the dog will alert its owner once it has found its prey in a different pitch bark, distinguishing that the hunt has ended and the raccoon has been treed. Tracking raccoons are their specialty and favorite activity, making them a staple on farms looking to root out raccoon activity from destroying their fields. Unfortunately, this dog is lost in an urban environment, requiring the great outdoors for survival, making it a terrible choice for an indoor family pet. Owning and training a tracking dog can be a challenging and rewarding experience and while many dogs are avid scent connoisseurs, these six dogs top the rest as the best tracking dogs you can have. 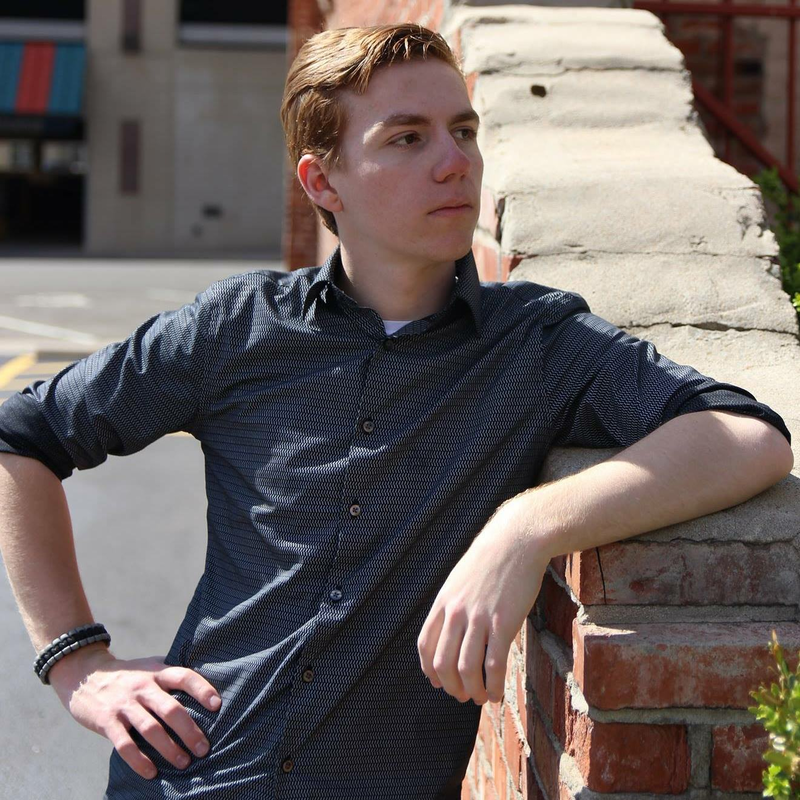 With each containing their own special abilities, while also filling a certain niche.